Today I'm going to review a L'oréal lipstick from the Rouge Caresse line in the colour Innocent pink. And here is swatch as you can see it's quite a light pink colour. You can build the colour up by applying more. My lips with the lipstick on. I really like the lipstick because it feels like a lipgloss/lipbalm and nursing at the same time. It's kind of similiar to the Revlon lipbutters but this one looks more like lipstick. 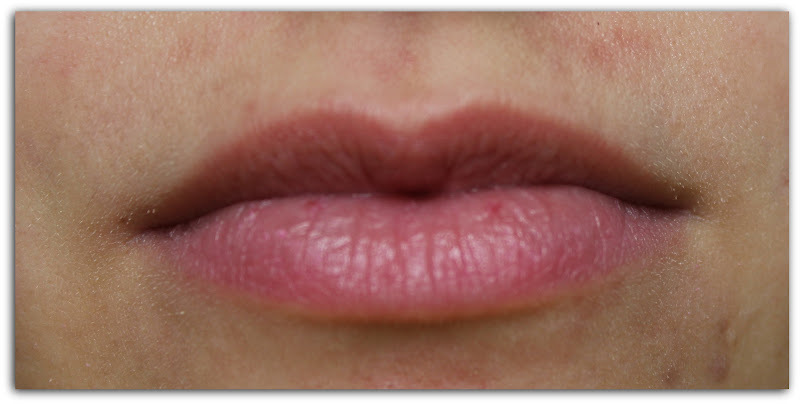 or another colour from the Rouge Caresse line? I have dating coral and really like it!